It's funny that the artist ended up making Gianna look like a Latina babe. I love it. Very colourful. 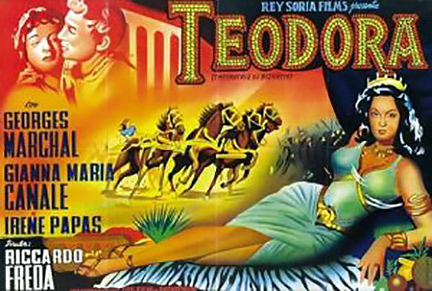 This is a really fun Peplum, but I agree the Spanish poster is really bizarre. Not just "a Latina babe," but Mexican star Maria Felix, who had recently been making films in Spain, France and Italy, including the early Peplum "Messalina/The Affairs of Messalina" (1951), which co-starred Georges Marchal!